Badges are still available for pick up at the CEPCO office during their regular hours Monday through Thursday 8:30 am – 1 pm, and Fridays 8:30 am – 12:30 pm. There will be no pick up availability on Saturday and Sunday. The Board “at last” is able to announce the repairing of the downed brick columns and fence on Pine Harvest near the entrance into Waterford. Please Read More to see the full article. Close to 100 new photos from the 20th Anniversary Gala are now available on the website. Please click here to read the upcoming Newsletter article, and see the entire slideshow. The 2018 Special Assessment grace period ends March 31, 2019. This date applies to both the full payment option ($500.00) and the first installment payment ($100.00). Please note the due and late after dates printed on the coupons that were mailed out in October. There are no additional mailing notices of these payments. Late fees will be assessed should CEPCO not receive payment by March 31st. Click here to read more. In anticipation of the new recreational and fitness center, amenities’ rules have been reviewed and updated. Click here to view the new rules, along with related forms, in the Amenities section of the website. Please read the February update on the Recreation Center renovation, with updated pictures of the interior construction by clicking here. Click here to view or print the 2019 Recycling Calendar. This is a reminder to all Magnolia Greens property owners that your semi-annual MGMA payment is due January 1st. The Special Assessment is a separate payment for the renovation of our Recreation and Fitness Center and new Annex/Game Room. Please refer to the two letters (one for the semi-annual dues and one for the Special Assessment) that you received and note the due and late after dates. There is no additional mailing of these notices. As a reminder, any account balance may be paid early at your convenience. The Board of Directors (BOD) is soliciting the community for residents who may be interested in serving as their Recording Secretary (RS). While this is a non-voting position on the BOD, it is an extremely important post. The RS allows the sitting secretary the ability to engage in the discussions during the meeting and not have to worry about also recording the minutes. At the 2018 Annual MGMA Meeting two new members were elected while retaining one current member. Please Read More for the complete announcement. Hurricane Florence made landfall in North Carolina on September 14th knocking out electrical services, internet services, and even cell phone services. Our community, much luckier than others, is slowly recovering from damaged homes and disfigured property. The return to normalcy depends on a number of variables; many outside the control of MGMA. Within our means, the Board and all its committees are working diligently to bring our community back to functionality. This will take time and we believe realistically can be accomplished by end of October; therefore, we ask for patience and perseverance from our residents. The grace period for removal of trees without ASRC approval is hereby ended. Anyone found removing a healthy tree after 5pm tomorrow September 28th is subject to a $2500.00 fine. Our ASRC will expedite any valid requests for tree removal once the request is received by Cepco. Please continue to follow Storm Damage Tree Guidelines and complete Architectural Change Request Form as needed. Hurricane Florence has caused massive damage to our state, which will need to be addressed in the following months and possible years. For Magnolia Greens we have downed trees and fences, damaged homes, lost of utilities, flooding and limited supplies. We are thankful that the residents who stayed and those who evacuated are safe and grateful to the neighbors who have helped each other in many ways during this time. Please click 'Read More' and read the important contents of the full announcement. Your Board of Directors and the Grounds Committee have been working hard on the flooding issues within our neighborhood. However, there is one major thing all of you can do to help that is not difficult but will probably make the largest impact on street flooding during Hurricane Florence. We are seconding the message sent by the MGMA Board to please look now at the street drains around where you live and clean them of all pine straw and any other debris. Unfortunately, they will probably clog again once the high winds blow more pine needles and leaves into the street and the heavy rains wash them into the street drains. To that end, we ask you to periodically (when it’s safe) clean the street drains again of accumulated debris to help the water drain into our storage ponds. The Rec Center will close for renovation at 11PM on September 4th, 2018. Please click here for information on the construction site, alternative workout locations, and access to the Rec Center staff during the renovation. MGMA Board of Directors has approved the second Special Assessment for the renovation of the Magnolia Greens Recreational Center. Click here for details and payment options. The Magnolia Greens Rec Center will close at 11 pm on September 4th. The BOD and Facilities committee has negotiated with Waterford the use of their work out facility during the time our rec center is closed. Please respect Waterford’s rules and return guest passes on a timely basis as other residents of MG would like to take advantage of this privilege. Until the new security access key cards are available, the process for entering the pool area at the Owner's Clubhouse and the Tennis Courts has changed. Please click here for details. The Owners Clubhouse Pool is open! Repairs to the sand filter were completed this morning. Please remember that due to the security system the pool will be manually opened at 7 am and closed at 8 pm. Residents must use the front gate as it will be the only gate to access the OCH pool. We appreciate your patience and want all of our residents to enjoy the pools during this hot summer season. The MG July 4th Parade NEEDS YOU! Your Social Committee invites you to join the fun. 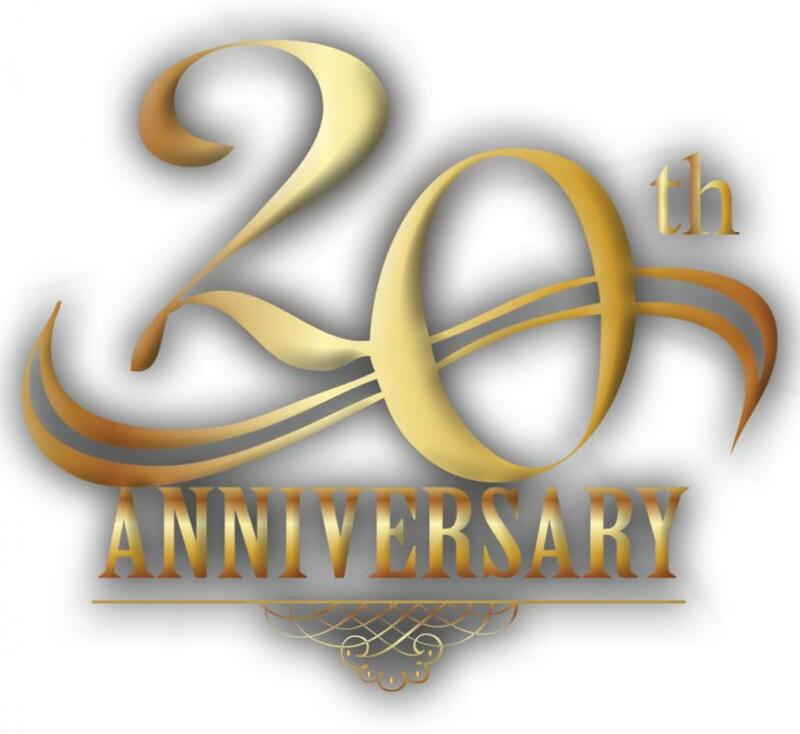 Celebrate 20 Years of Magnolia Greens! For those residents who chose the second option B for the 2017 Special Assessment, CEPCO should receive the second installment of $100.00 by close of business May 31, 2018. Late fees will be assessed after this date. It has come to the attention of MGMA that several incidents have recently occurred in which persons either without a key card or a key card that is deactivated have gained entrance to our amenities. This email is to remind residents that they should not allow entrance to any person who is not utilizing their own key card for entrance. Information on the new swim lesson program, with downloadable registration materials is now available on the website. Please click here for further information. Magnolia Greens new playground equipment has just been installed! The old out of code equipment has been removed. In the past week, there has been two instances where a 30 something caucasian male approximately 6 feet tall has been observed roaming in Magnolia Greens near and around the Rec Center. He keeps saying that someone is after him and asking if you can hear them. He does not live in Magnolia Greens and does not seem dangerous (at this time) but one never knows. The Police have arrested him twice. The first time, he was taken away via EMS. The MG Board is asking that you keep ever vigilant; keep your garage and house doors secure. This message is not to frighten but to advise and ask that you perform normal security measures. As always, please relay this message to neighbors who may not have received this email. Thank you. Over the past several weeks there has been an abundance of notifications for mailbox numbers that need resident's attention. At the March BoD meeting (March 19), your Board received a comment regarding the numbers and asked that we look at other options that would last longer and improve appearance. The 2017 Special Assessment grace period ends March 31, 2018. If your payment plan is Option 1, CEPCO needs to receive the $500 by the end of day March 31st and if your payment plan is Option 2, CEPCO should receive the first installment of $100. by the end of day March 31st. Late fees will be assessed after this date. Please contact CEPCO at 1022 Grandiflora Drive Suite 100, Leland, NC, 910-395-1500 if you have any questions about your Special Assessment Payment or HOA account. We are planning activities to celebrate the Anniversary of Magnolia Greens. Plans include a shot gun start golf tournament on September 22, and a gala banquet on September 23 2018.